A network of 400 ultra-fast charging stations for electric vehicles along major European routes is to begin construction next year, equally funded by a joint venture comprising BMW, Daimler, Ford and the Volkswagen Group. The network will comprise charging points with a 350kW maximum output, for ultra-fast top-ups. 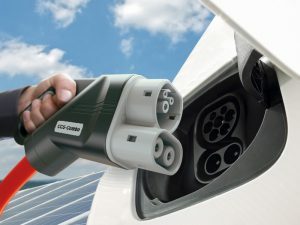 Aiming to enable easier long-distance travel, the charging points will be brand-independent and open-network, utilising the Combined Charging Standard (CCS) DC connector used by BMW, General Motors and the Volkswagen Group, though likely to be adopted by others. Once complete, the sites will offer multiple chargers with an output of 350kW, seven times the maximum charging speed of today’s rapid chargers. In turn, it will mean vehicles with large capacity, long-range batteries and a compatible on-board charger can regain most of their charge in less than half an hour. The standard will continue to support models at slower charging speeds. The carmakers have so far signed a memorandum of understanding, but expect to start the build-up next year if it’s approved. Founders will have an equal stake, but other manufacturers and regional partners will be encouraged to support it.